One of two college football stars who famously challenged the NFL’s rule of players being three years removed from their high school graduation before becoming eligible for the NFL draft, Williams had to sit out the entire 2004 college football season after being declared ineligible. But for all of his talent, there were substantial questions as to whether Williams was actually “too big” (read: too slow) to play in the NFL. At 6’5 and 240-plus pounds, teams wondered if he would be able to generate separation from NFL cornerbacks. But the ill-fated Matt Millen, who ran the Detroit Lions at the time, threw such caution to the wind, using a top 10 pick on Williams, and thereby taking a wide receiver with Detroit’s first round draft pick for the third year in a row. 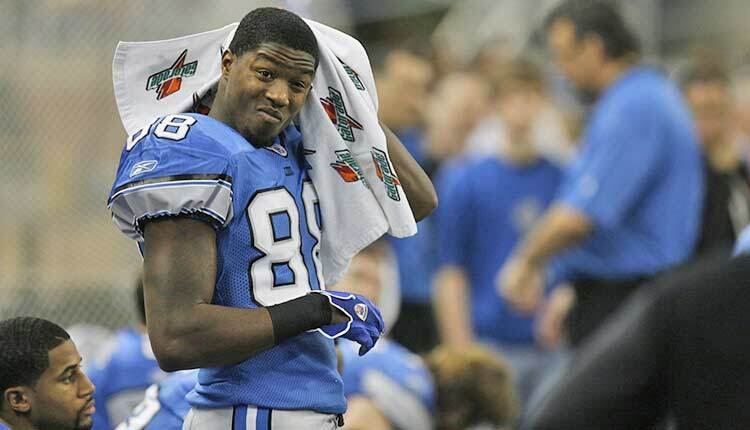 Williams battled injury and — unsurprisingly — weight problems during his time in Detroit, and was traded by the Lions only two seasons after drafting him.